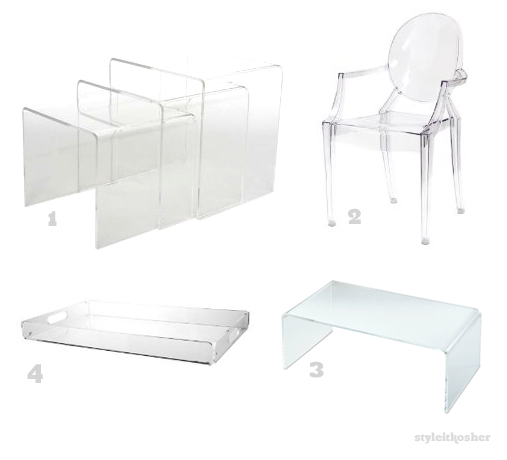 I’ve been a bit obsessed with acrylic furniture and accents lately. It provides for a modern elegance and translucent lightness. 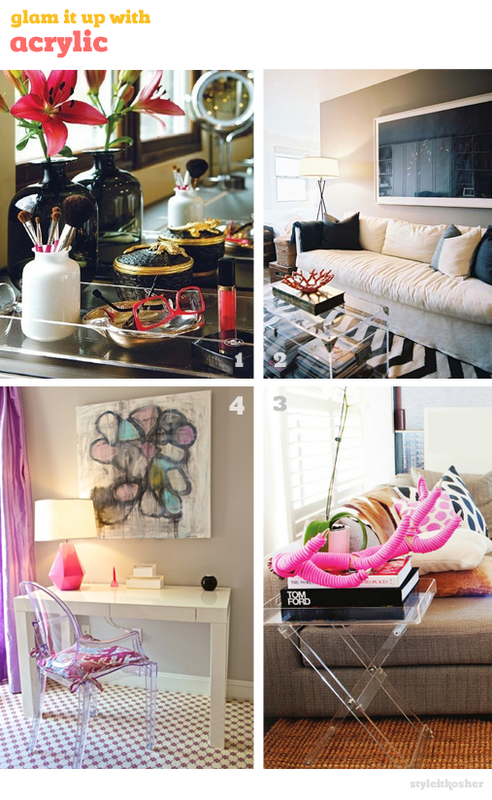 Above are rooms for inspiration and below are some affordable options for your home.